As 407 US Mayors representing 70 million Americans, we will adopt, honor, and uphold the commitments to the goals enshrined in the Paris Agreement. We will intensify efforts to meet each of our cities’ current climate goals, push for new action to meet the 1.5 degrees Celsius target, and work together to create a 21st century clean energy economy. Updated signatories as of 3:00 pm PST on June 1, 2018. 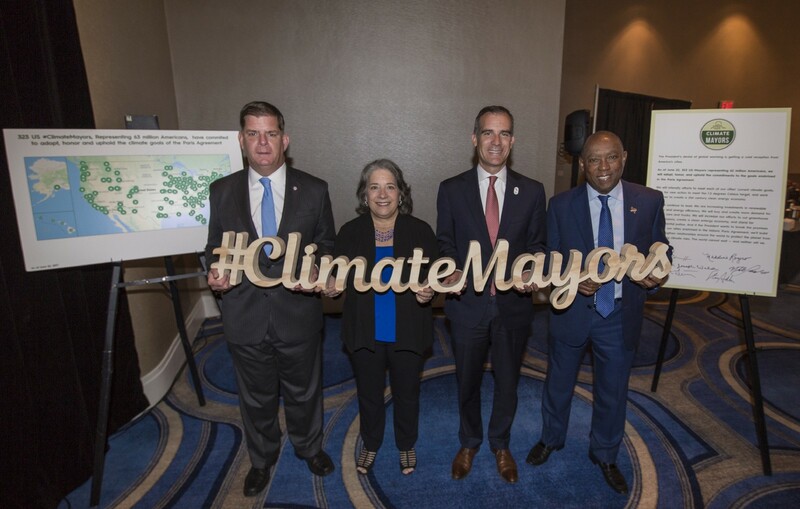 Climate Mayors is a network of 406 U.S. mayors — representing 70 million Americans in red states and blue states — working together to strengthen local efforts for reducing greenhouse gas emissions and supporting efforts for binding federal and global-level policy making. 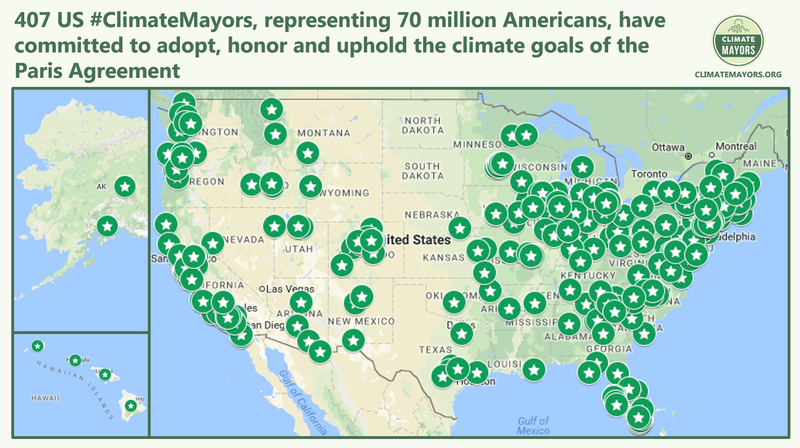 Climate Mayors recently released an open letter to President Trump to oppose his actions thus far against climate action. In January 2017, 30 Climate Mayors issued an EV RFI to show automakers and manufacturers that 114,000 of their cities’ cars and trucks could be electrified. 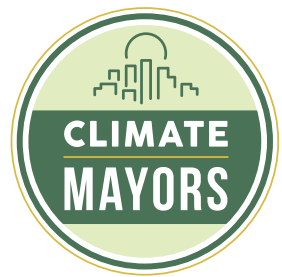 If you would like to sign this statement, or require further information about Climate Mayors and its activities please email info@climate-mayors.org or visit our website http://www.climatemayors.org. If your Mayor wishes to sign on, please send an email from an authorized person in your city stating so, and also provide the contact details of your city government’s representative for climate issues.